When Baron Jerome Manchester Paget, claiming to be a fifth cousin to the Queen of England, stepped off the stagecoach in Fort Griffin carrying a satchel full of money, life in the frontier town would never be the same. 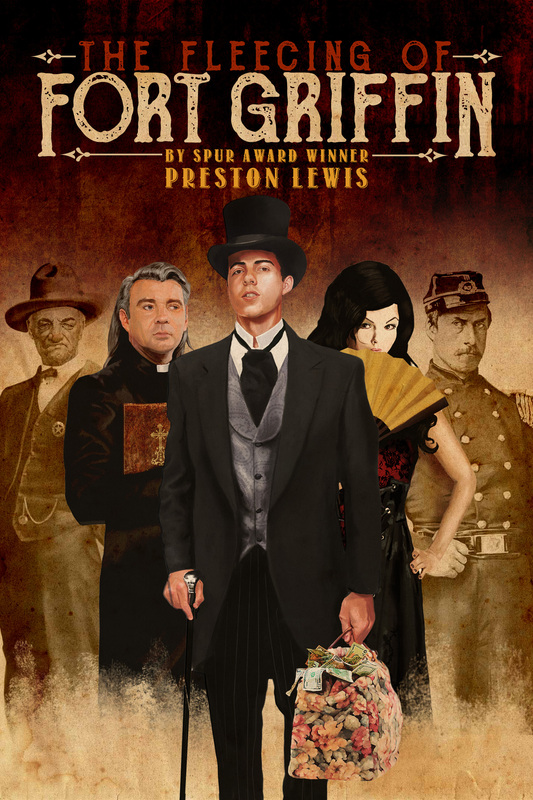 San Angelo author Preston Lewis spins quite a yarn with his comic western novel, The Fleecing of Fort Griffin…. Creative, indeed. Colorful characters abound — a traveling evangelist huckster, his “crippled” accomplice, a woman who has already buried five husbands, an unscrupulous buffalo hide buyer, a couple who run a seduction racket, a one-eyed gunslinger, a disenchanted colonel, a professional gambler — all trying to figure out how to bilk the baron of his fortune. But the baron proves remarkably able to take care of himself, thanks to his guard rooster and an orphan he befriended on arriving in Fort Griffin. If you’re looking for a delightful tale, check out The Fleecing of Fort Griffin. It’s that time of the year when folks like to buy books as gifts for relatives and friends who enjoy reading. 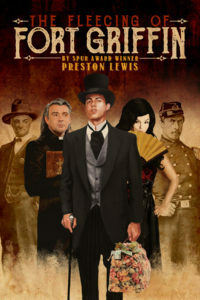 Here are some new Texas books to consider: Fiction … The Fleecing of Fort Griffin by Preston Lewis of San Angelo is one of the funniest westerns I’ve ever read.